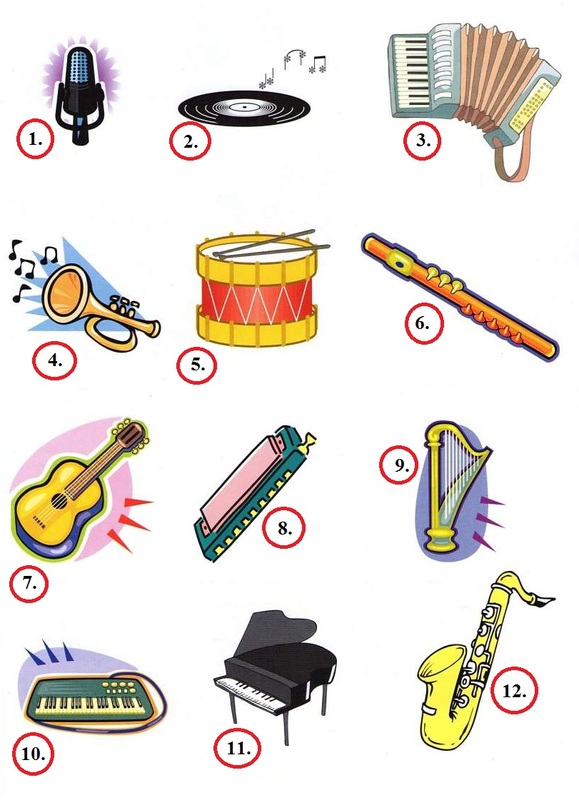 Below is a list of common musical instruments divided by type. How many instruments do you know? Can you pronounce them all correctly? Can you label the picture below? I’m Peter , writing from Singapore. I stumbled upon your YouTube channel as I was preparing for my IELTS exam. Your training videos have been extremely helpful and I feel more confident than before. Then , look under “Task Achievement” . The spelling of the word “check” has been misspelt as “chekc”. Hope you will take instant action to correct the above error. in my country Jordan beside the bag pipe we have also instrument manufactured from 2 short tube of wood opened from both side attached together, on the top of each tube 3 small opening to control air flow while musician play with some time the machine come with one tube, and we called it the double (mij-wez) . There is a musical instrument called Kalangu, originated from northern Nigeria. The beats are controlled with some wired strings attached to it. Thank you for the huge work, you are doing in this website to assist student. I’m going to have the EILTS on the 6th of may in Algeria. As I’m intermediate, and had a few days to get ready, I really appreciate all your tips. I think that, it’s the best place to improve our english, either we pass the IELTS or not. 1/Debouka: percusion instruments: it’s a little tambourine made wirh, potery, metal or wood, and animal skin’s, we hit on it. Gasba: is a tube-shaped instrument, just like the flute, made with bamboo and has 6 holes. 3/Bendir: it’s a disc made by wood and goat’s skin.We heat on it with a stick. All are used during wedding and religious ceremonies. Thanks for sharing 🙂 I did think about creating an English language website as well in the future – would that be something you would enjoy? Yes, Please if you can. You really understand students weakness and your blog answers every query I have regarding all the section in IELTS. I wish you lived in India and I could have attended your classes. If you want to learn about each section in the IELTS test, go to the RED BAR at the top of this website and click on the section you want to learn. There are over 300 pages of free tips and lessons on this website. For English, if lots of people want English lessons from me, I might start a new Youtube channel or website – but in the future, at present I’m not well and can’t do more work. I hope you are better now! Thanks for the plethora of information on your site. Really amazing work that you have done. can you give me some insight for opera shows? what are these ? Do you mean “soap operas” on TV? Someone was asked about opera shows for speaking test. I am in my way to reach reach test location. Turkey, there is Saz or Bağlama ( a 5-12 stringed instrument). Sapeh, from Borneo Island. Sapes are carved from a single bole of wood. It usually comes with 3 to 5-strings. Just a humble observation: I think Accordion belongs to the ´Key Board´ family. There is an instrument in Tamilnadu, India called Nadhaswaram. Just I want to you share this information. Could you please send me a link to prepare my self for IELTS Exam? This entire website helps you prepare for IELTS on your own for free. Start reading and practicing the 300 pages available. Thank you so much for posting this. Your IELTS lessons are really helpful. I really appreciate your efforts. I wanted to share some of my country’s traditional musical instruments. I am from Nepal and we have some interesting musical instruments like Sarnagi (stringed instrument similar to violin), Madal (percussion instrument similar to drums), Basuri (wind instrument similar to flute) and Harmonium (keyboard instrument similar to accordion). Hope you’ll post these too. Number 4 is not a bugle, as a bugle doesn’t have valves, and you can clearly see valves in the picture. It looks like a cornet. Hi Liz. TAR is one of the traditional musical instruments of AZERBAIJAN. I wish you add it. thank you so much about all your effort to facilitate the Ielts exam . Just FYI, piano is a stringed instrument! Hello Liz. In Iran, we have Kamancheh & Daf. “Tabla” is widely used in Pakistan as a traditional musical instruments and its compositions.